On the other hand, if a beneficiary residing in one of these living arrangements has been rated a need for “aid and attendance” or “housebound”, VA will allow all reasonable costs to be counted as prospective, annualized medical expenses as long as some of those costs are paid for medical care. The providers do not have to be licensed. In the case of Alzheimer’s, the physician’s statement used for rating must indicate the person needing care must be in a protective environment; otherwise, only medical costs are covered. Applying for a rating is discussed in a previous section above. All reasonable costs would include room and board as well as other unreimbursed billable services. The director of the facility must sign a statement verifying the type of care being given and the fact that the person receiving the care is expected to remain a resident in the facility. We have included in our book, a copy of a form entitled “Form 2 — Care Provider Report (used to provide evidence of recurring medical expenses)” We highly recommend this form or a similar form be submitted with the application. A copy of the contract for services as well as invoices and statements from the facility should also be included with Form 2. There may be a possibility of a non-veteran spouse of a living veteran receiving annualized credit for recurring costs of non-nursing home facility care. Requesting annualization for the spouse may be a problem because the amount of allowable costs without a rating for “aid and attendance” or “housebound” could be much smaller or disallowed. We recommend checking the box on the application for a rating. This will probably confuse the service representative but may alert that person to the request of the spouse’s expenses. We also recommend submitting a letter with the application requesting recurring, annualized treatment of the cost of the care facility and assuring VA the spouse does deserve a rating. Otherwise, the spouse’s cost of assisted living may not be allowed as a deduction. Federal code and VA regulations prohibit an anyone from charging a fee to fill out an application prior to filing a notice of disagreement. Some practitioners or providers help their clients for free, sometimes in the context of solving other retirement issues or providing long term care services. Some practitioners may offer information for a fee but will send their clients to a veterans’ service organization to complete the application. Charging a fee for information is an acceptable practice allowed by VA. Charging a fee to prepare, present, and prosecute a claim is a punishable offense. Dovetailing Medicaid income with the Pension benefit could work in some cases but in other cases Medicaid and Pension don’t mix. In those cases where it fits, Pension can be a valuable additional resource for a nursing home patient. When trying to make Medicaid and Pension work together, a potential claimant should always seek out the advice of a knowledgeable consultant. Certain legal strategies relating to Medicaid eligibility could be applied in these special cases. Advisers, who understand Medicaid rules and VA eligibility, might be able to apply some of these strategies to produce more household income. There are also income strategies that must be utilized in case the Pension beneficiary will apply for Medicaid. Finally, all pension applicants must be certain that asset transfers that occur within the five-year look back period for Medicaid, don’t disqualify the Pension beneficiary for Medicaid benefits. When assets are to be gifted or converted to income, a knowledgeable consultant should always be used. Failure to do so could result in dire consequences. The need for long-term care help might be due to a terminal condition, disability, illness, injury or the infirmity of old age. Estimates by experts are that at least 60% of all individuals will need extended help in one or more of the areas above during their lifetime. The need for long-term care may only last for a few weeks or months or it may go on for years. It all depends on the underlying reasons for needing care. Custodial care and skilled care are terms used by the medical community and health care plans such as health insurance plans, Medicare, Medicaid and the Veterans Administration. They are used primarily to differentiate care provided by medical specialists as opposed to care provided by aides, volunteers, family or friends. The use of these terms and their application is important in determining whether a health care plan will pay for services or not. Generally, skilled services are paid for by a health care plan and custodial services, not in conjunction with skilled care, are not covered. However, custodial services are almost always a part of a skilled service plan of care and by being included, custodial services are paid by the health care plan as well. Many people have the misconception that only skilled services are covered. This is simply not true. ” Skilled care is the provision of services and supplies that can be given only by or under the supervision of skilled or licensed medical personnel. Skilled care is medically necessary when provided to improve the quality of health care of patients or to maintain or slow the decompensation of a patient’s condition, including palliative treatment. Skilled care is prescribed for settings that have the capability to deliver such services safely and effectively. • The maintenance, palliative relief, or the slowing of decompensation in a patient’s status, if applicable. Writers and advisers who are not part of the medical community often confuse custodial care and skilled care with specific care activities. For example help with the activities of daily living and many of the items on the list in the previous section are care activities thought to be by definition custodial care. Whereas the monitoring of vital signs, ordering medical tests, diagnosing medical problems, administering of intravenous injections, prescribing and dispensing medicine, drawing blood, giving shots, dressing wounds, providing therapy and counseling are all activities normally associated with skilled care. But many non-medical advisers and writers don’t know that skilled and custodial refer to the people who deliver the care not the actual care given. A skilled care provider can also provide services normally thought to be provided by custodial caregivers. Such things as help with activities of daily living and so-called instrumental activities of daily living are often furnished by skilled providers in the course of their treatment. Or a skilled care plan may call for services that can be delivered by a custodial caregiver but it would still be under the skilled plan of care for that individual. On the other hand people who deliver custodial services may from time to time perform those activities supposedly reserved for skilled providers. Such things as taking blood pressure, administering medicines, giving shots or changing wounds might be provided under certain circumstances by a custodial provider. Please remember that the terms skilled and custodial do not refer to specific types of long-term care services but rather who delivers those services. Also the delivery of skilled services must be done under a written plan of care which often includes custodial care services. Of course it does. Medicare routinely pays for custodial care in every skilled care setting for which it provides payment. Medicare will not pay for custodial care in the absence of a skilled care plan. A patient receiving skilled care in a nursing home from Medicare not only receives care from skilled providers such as nurses, therapists or doctors but also receives care from custodial providers such as aides or CNA’s. This care usually consists of help with bathing, dressing, ambulating , toileting, incontinence, feeding and medicating. Medicare does not exclude the custodial services but pays the entire bill because custodial care is a necessary part of the skilled care plan in a nursing home. Custodial care is always a part of a skilled care plan for home care. The patient receives skilled care from a nurse or therapist and custodial care from an aide for help with bathing, dressing, ambulating , toileting, incontinence, medicating and possibly feeding. Medicare pays for both types of services. The hospice team consists of a doctor, a nurse, a social worker, a therapist when needed, a counselor and an aide to provide custodial care. Help with activities of daily living is provided at home or in a Medicare approved hospice facility. Custodial care is always a part of a hospice plan of care and Medicare routinely pays for these services. Please note that there is no such thing as a custodial nursing home. All nursing homes are by definition skilled care facilities because they have nurses who are skilled care providers. Also be aware that not all states license intermediate care facilities which might provide less than 24 hour registered nursing care. “Skilled care patients” in nursing homes are referred to as such because they are receiving payment from Medicare or sometimes payment from private health insurance plans. Practically all nursing home residents have medical needs but Medicare and other insurance plans will only pay for patients that have certain acute medical needs where recovery is anticipated. Patients with chronic medical problems are typically not covered by Medicare but would be covered by Medicaid. The confusion with understanding the term “skilled nursing care” probably comes from Medicare itself. To be a certified Medicare nursing home and receive payments from Medicare a nursing home must meet the Medicare definition of a “skilled nursing facility”. This means there must be registered nurses on duty 24 hours a day, there must be a doctor on call at all times and there must be ambulance service to a local hospital. Medicare may also require additional staffing and facility arrangements to receive certification. It is unfortunate that the word “skilled” is used in this definition. All nursing homes whether they meet the definition of a “skilled nursing facility” or not provide services from a nurse, doctor or therapist and this meets the medical definition of skilled care. Many states have adopted the same federal criteria for licensing their nursing homes. In some states the “skilled” definition is the only option for a nursing home. But in some states facilities with lesser services can receive different licensing classes. These might be called intermediate care facilities or “small nursing homes”. An example of one of VA’s 22 regions is Region 19. Geographically one of the largest in the system. Headquartered in Denver this region covers the states of Montana, Wyoming, Utah, Colorado and part of Nevada. Region 19 includes three health-care system hospitals and three satellite hospitals. There are also 33 outpatient clinics in urban centers scattered throughout the five states and 7 Vet Centers in urban areas that provide special services for veterans who served in combat. Hospitals in the VA system are typically associated with a local medical College where feasible. By acting as teaching hospitals the VA system has access to some of the best doctors and cutting edge medical treatments. In region 19, the Denver Medical Center is affiliated with the medical school, pharmacy, and nursing schools of the University of Colorado Health Sciences Center. The Fort Harrison facility near Helena, Montana is affiliated with nursing schools, pharmacy schools and physician-assistant schools in over 30 universities in the four adjoining states. The Salt Lake City Regional Medical Center is affiliated with the University of Utah Medical School which is located less than a mile away. One of the disadvantages, in the past, of joining the health system was the difficulty of getting to a regional medical center for treatment. With the installation of outpatient clinics within easy driving distance for health-care beneficiaries, this challenge has become less of a problem than in the past few years. The challenge still remains that major hospitilization, surgery and other specialized treatment must be obtained at a regional hospital. In the case of region 19 this could involve driving distances up to 600 miles one way to obtain the appropriate care. VA is accommodating to certain low income patients who must drive long distances and the facilities offer, at no charge or reasonable charge, “hoptel” rooms in the hospital or nearby as an alternative to staying in a motel or hotel. Low income patients are also reimbursed at $.11 per mile for travel to the nearest Va health care facility that can provide their needed care. Other services are also available to certain qualifying veterans who may receive dental care, vision care and hearing aids. In addition, Vet Centers provide special counseling for active-duty veterans who served in combat zones. VA is also the most experienced healthcare provider in the country in services for rehabilitating patients with missing limbs, burn injuries or with other complications due to combat injuries. Regional VA hospitals often include associated nursing facilities or domiciliary rooms. They will also contract for home health care and hospice services if needed. For those hospitals that don’t have nursing homes or domiciliary, contracts for these services are maintained with facilities in the local community. Emergency Care in Non-VA facilities is provided as a safety net for veterans under specific conditions. If the non-VA emergency care is for a service-connected condition or if the veteran has been enrolled with health services at least 24 months and has no other health care coverage then emergency care is covered. Also, it must be determined that VA health care facilities were not feasibly available; that a delay in medical attention would have endangered life or health, and that the veteran remains personally liable for the cost of the services in case of a dispute. 1. Veterans with a service-connected disability of 50% more. 4. Veterans enrolled in priority group 6 who received medication for service-connected conditions. 5. Veterans receiving medications for conditions related to sexual trauma while serving on active duty. Co-pays apply to prescription and over-the-counter medications, such as aspirin, cough syrup or vitamins, dispensed by a VA pharmacy. However, veterans may prefer to purchase over-the-counter drugs, such as aspirin or vitamins, at a local pharmacy rather than making the co-pay. Co-pays are not charges for medications injected during the course of treatment or for medical supplies, such as syringes or alcohol wipes. The following was taken from the department of Veterans Affairs fact sheet dated January 2005 and distributed by the office of public affairs media relations. The Department of Veterans Affairs (VA) offers a spectrum of geriatric and extended care services to veterans enrolled in its health care system. More than 90% of VA’s medical centers provide home and community-based outpatient long-term care programs. This patient-focused approach supports the wishes of most patients to live at home in their own communities for as long as possible. In addition, nearly 65,000 veterans will receive inpatient long-term care this year through programs of VA or state veterans homes. Professional home care services, mostly nursing services, are purchased from private-sector providers at every VA medical center. The program is commonly called “fee basis” home care. The community residential care program provides room, board, limited personal care and supervision to veterans who do not require hospital or nursing home care but are not able to live independently because of medical or psychiatric conditions, and who have no family to provide care. The veteran pays for the cost of this living arrangement. VA’s contribution is limited to the cost of administration and clinical services, which include inspection of the home and periodic visits to the veteran by VA health care professionals.Medical care is provided to the veteran primarily on an outpatient bases at VA facilities. Primarily focused on psychiatric patients in the past, this program will be increasingly focused on older veterans with multiple chronic illnesses that can be managed in the home under proper care and supervision. Domiciliary care is a residential rehabilitation program that provides short-term minimal medical care as they recover from medical, psychiatric or psychosocial problems. Most domiciliary patients return to the community after a period of rehabilitation. Domiciliary care is provided by VA and state homes. VA currently operates 43 facilities. State homes operate 49 domiciliaries in 33 states. VA also provides a number of psychiatric residential rehabilitation programs, including ones for veterans coping with post-traumatic stress transitional residences for homeless chronically mentally ill veterans and veterans recovering from substance abuse. For most of VA’s non-institutional care, telehealth communication technology can play a major role in coordinating veterans’ total care with the goal of maintaining independence. Telehealth offers the possibility of treating chronic illnesses cost-effectively while contributing to the patient satisfaction generally found with care available at home. These centers increase the basic knowledge of aging for health care providers and improve the quality of care through the development of improved models of clinical services. Each GRECC has an identified focus of research in the basic biomedical, clinical and health services areas, such as the geriatric evaluation and management program. Medical and associated health students and staff in geriatrics and gerontology are trained at these centers. Begun in 1975, there are now 21 GRECCs in all but two of VA’s health networks. VA’s nursing home programs include VA-operated nursing home care units, contract community nursing homes and state homes. VA contracts with approximately 2500 community nursing homes. The state home program is growing and currently encompasses 114 nursing homes in 47 states and Puerto Rico. In fiscal year 2003, approximately 70 percent of VA’s institutional nursing home care occurred in contract community and state home nursing homes. Nursing home care units are located at VA hospitals where they are supported by an array of clinical specialties. The community nursing home program has the advantage of begin offered in many local communities where veterans can receive care near their homes and families. VA contracts for the care of veterans in community nursing homes approved by VA. The state home program is based on a joint cost sharing agreement between the VA, the veteran and the state. -If space and resources are available, other veterans on a case-by-case basis with priority given to service-connected veterans and those who need care for post-acutre rehabilitation, respite, hospice, geriatric evaluation and management, or spinal cord injury. A local Regional Medical Center can pay veterans a grant to allow for home improvement and structural alteration — HISA grants. These are necessary alterations in order to accommodate disability in the home. 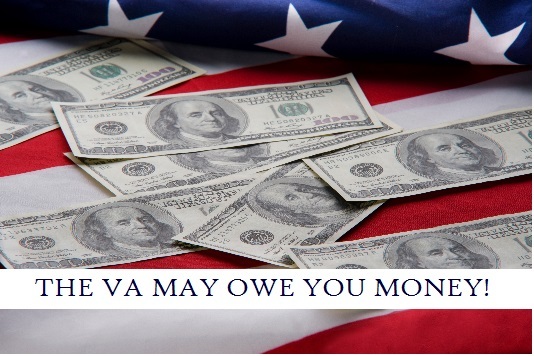 As a general rule these grants are typically provided to veterans who are receiving VA health care and who are service-connected disabled. Certain service-connected disabled veterans can receive a lifetime benefit of $4200 for home improvement projects to aid with disability. A clause in the eligibility statutes opens the door for veterans who are on Medicaid or receiving pension with aid and attendance or housebound ratings to also receive these grants. Also very low income — means tested veterans — may also receive the grant. For this class of veterans the grant is a lifetime payment of $1200. Millennium Act and the VA’s Efforts to Increase Long-Term Care Capacity Public Law 106-117, the Veterans Millennium Health Care and Benefits Act, enacted in November 1999, requires VA to provide extended care services in its facilities, including nursing home care, with the goal of providing as much care as in 1998. The budget for Va long-term care grew by more then $850 million between fiscal year 1998 and fiscal year 2003, and the number of full time employees increased in nursing home care units and outpatient programs. Who Is Eligible for the Aid and Attendance Pension Benefit? The veteran household cannot have income — adjusted for unreimbursed medical expenses — exceeding the Maximum Allowable Pension Rate– MAPR — for that veteran’s Pension income category. If the adjusted income exceeds MAPR, there is no benefit. If adjusted income is less than the MAPR, the veteran receives a Pension income that is equal to the difference between MAPR and the household income adjusted for unreimbursed medical expenses. The Pension income is calculated, based on 12 months of future household income, but paid monthly. A special provision for calculating Pension income, allows household income to be reduced by 12 months worth of future, recurring medical expenses. Normally, income is only reduced by medical expenses incurred in the month of application. These allowable, annualized medical expenses are such things as insurance premiums, the cost of home care, the cost of paying any person to provide care, the cost of adult day care, the cost of assisted living and the cost of a nursing home facility. In most cases, these expenses are only deductible if there is a rating. This special provision can allow veteran households earning more than the annual MAPR to qualify for Pension. As an example, a veteran household earning $6,000 a month could still qualify for Pension if the veteran is paying $4,500 to $6,000 a month for nursing home costs. The applicant must submit appropriate evidence for a rating and for recurring costs in order to qualify for this special provision. VA normally does not tell applicants about this special treatment of medical expenses or how to qualify for it. Our book provides ample information on this special treatment and provides appropriate forms to present medical and cost evidence in the most favorable manner. We recommend using a qualified aid and attendance benefit consultant when dealing with assets that may disqualify. It is extremely important that assets that might be gifted or converted to income also meet Medicaid gifting rules in case the veteran or the surviving spouse may have to apply for Medicaid. The consultant can help avoid Medicaid penalties associated with reallocating assets. A rating for “aid and attendance” or “housebound” allows VA to pay additional benefits beyond the regular Pension benefit ceiling in order to help cover the additional costs associated with added disabilities. A rating for these allowances is determined by a veteran service representative who has been trained to recognize from medical reports and interviews whether the veteran or his surviving spouse needs the additional care. Determinations of a need for aid and attendance or housebound benefits may be based on medical reports and findings by private physicians or from hospital facilities. Authorization of aid and attendance benefits without a rating decision is automatic if evidence establishes the claimant is a patient in a nursing home. Aid and attendance is also automatic if the claimant is blind or nearly blind or having severe visual problems. • or incapacity, physical or mental, which requires care or assistance on a regular basis to protect the claimant from hazards or dangers incident to his or her daily environment. Not all of the disabling conditions in the list above are required to exist before a favorable rating may be made. The personal functions which the veteran is unable to perform are considered in connection with his or her condition as a whole. It is only necessary that the evidence establish that the veteran is so helpless as to need “regular” (scheduled and ongoing) aid and attendance from someone else, not that there be a 24-hour need. “Bedridden” is a definition that allows a rating for aid and attendance by itself. “Bedridden” is a condition which requires that the claimant remain in bed. A person who has voluntarily taken to bed or who has been told by the doctor to remain in bed will not necessarily receive the favorable rating for aid and attendance. There must be an actual need for personal assistance from others. Housebound means “permanently housebound by reason of disability or disabilities.” This requirement is met when the veteran or his or her widow is substantially confined to his or her dwelling and the immediate premises or, if institutionalized, to the ward or clinical area, and it is reasonably certain that the disability or disabilities and resultant confinement will continue throughout his or her lifetime. A person who cannot leave his immediate premises unless under the supervision of another person is considered housebound. This might include the inability to drive because of the disability. A housebound rating does not mean a person needs to be confined to a personal residence. It can apply to any place where the person is living whether in a facility or in the home of someone else. In order to receive one of these ratings the claimant must check the “Yes” box on VA Form 21-526 (claim for a living veteran) or VA Form 21-534 (claim for death Pension from a surviving spouse) that states: “Are you claiming a special monthly Pension because you need the regular assistance of another person, are blind, nearly blind, or having severe visual problems, or are housebound?” Failure to check this box may result in no rating and in some cases a denial of the claim as well as a loss of the rating allowance. Medical evidence for a rating for “aid and attendance” or “housebound” for living arrangements other than a nursing home should be submitted with the application to avoid a delay in the approval process. Waiting for the regional office to order medical records is a time-consuming process, mainly because doctors offices don’t respond quickly to these kinds of requests. We recommend a report completed by the physician, and obtained by the family prior to submission of the claim. This report is then included with the initial application. We provide in our book a form entitled “Form 1 — Statement of Attending Physician (used to determine rating for A&A or HB).” This document is similar to a form used internally by VA to obtain information from veterans medical facilities for determining a rating. 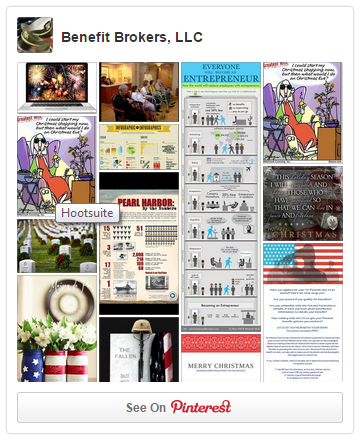 It is in a format that a veterans service representative would recognize. The monthly award is based on VA totaling 12 months of estimated future income and subtracting from that 12 months of estimated future, recurring and predictable medical expenses. Allowable medical expenses are reduced by a deductible to produce an adjusted medical expense which in turn is subtracted from the estimated 12 months of future income. The new income derived from subtracting adjusted medical expenses from income is called “countable” income or IVAP (Income for Veterans Affairs Purposes). This countable income is then subtracted from the Maximum Allowable Pension Rate — MAPR — and that result is divided by 12 to determine the monthly income Pension award. This award is paid in addition to the family income that already exists. See examples below. Example #1 — Veteran is in assisted living with aid and attendance allowance. Monthly family income is $4,000 a month. Spouse is living at home. Unreimbursed medical expenses include prescription drugs, Medicare premiums, Medicare supplement premiums, and 12 months of prospective assisted living monthly costs. Family meets the asset test. Example #2 — Veteran receiving paid home care with aid and attendance allowance. Monthly family income is $1,900 a month. Unreimbursed medical expenses include prescription drugs, Medicare premiums, Medicare supplement premiums, and 12 months of prospective home health aide monthly costs. Family meets the asset test. Example #3 — Surviving spouse receiving paid home care with aid and attendance allowance. Monthly income is $850 a month. Unreimbursed medical expenses include prescription drugs, Medicare premiums, Medicare supplement premiums, and 12 months of prospective home health aide monthly costs. Surviving spouse meets the asset test. This article is courtesy of veteransinfocenter.org. Great story about another great hero! 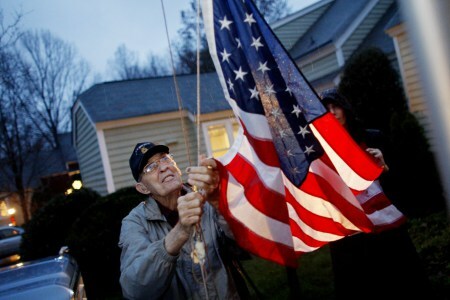 over putting a flagpole in his front yard in 2009.
lower and fold it at dusk every day. on and learn a little about the man. What is the Aid and Attendance Pension Benefit? “Aid and attendance” is a commonly used term for a little-known veterans’ disability income. The official title of this benefit is “Pension.” The reason for using “aid and attendance” to refer to Pension is that many veterans or their single surviving spouses can become eligible if they have a regular need for the aid and attendance of a caregiver or if they are housebound. Evidence of this need for care must be certified by VA as a “rating.” With a rating, certain veterans or their surviving spouses can now qualify for Pension. Pension is also available to low income veteran households without a rating, but it is a lesser dollar amount. The first of these benefits — Pension — is the subject of this website and is discussed briefly in a section above. The purpose of this benefit is to provide supplemental income to disabled or older veterans who have a low income. Pension is for war veterans who have disabilities that are not connected to their active-duty service. If the veteran’s income exceeds the Pension amount, then there is no award. However, income can be adjusted for unreimbursed medical expenses, and this allows veterans with household incomes larger than the Pension amount to qualify for a monthly benefit. There is also an asset test to qualify for Pension. The second disability income benefit is called “Compensation” and it is designed to award the veteran a certain amount of monthly income to compensate for potential loss of income in the private sector due to a disability or injury or illness incurred in the service. In order to receive Compensation, a veteran has to have evidence of a service-connected disability. Most veterans who are receiving this benefit were awarded an amount based on a percentage of disability shortly after they left the service. There is generally no income or asset test for most forms of Compensation, and the benefit is nontaxable. Although the Veterans Administration does not differentiate between various Pension applicants, there are, in practice, two kinds of Pension applications. The first type of application or claim, as it’s called by VA, deals with veteran households that do not generally require the rating mentioned above in order to receive a benefit or as VA calls it, an award. These applicants will have household income less than the monthly allowable Pension rate. In addition, they will have very little in savings or investments. And, with no ratings, the size of their Pension awards will be much smaller. It is our opinion that most veterans or their surviving spouses, receiving Pension, are in this category. We believe this is true for several reasons. One reason is that Veterans Service Representatives in the local regional office, who deal with the public, will tell callers that Pension is only available to veteran households with low income. VSR’s turn away a lot of potential applicants. This is probably because these employees are not trained sufficiently to understand the special case of veterans with higher income and high long term care costs. A second reason is that callers will be told — if they have significant savings or investments — they will not qualify as well. It is possible to give away assets in order to qualify for Pension. Naturally, Veterans Service Representatives will not mention this as an option. A third reason is that veterans with higher income and significant assets generally don’t know they can qualify for Pension under certain conditions. No one has ever told them. As a result, they never apply. A compelling fourth reason is that most people don’t know the aid and attendance Pension benefit (includes A&A allowance) can help cover home care costs paid to any person or professional providers. Most people don’t attempt to apply until they have become single and enter a nursing home where VA refuses to pay the benefit if the single claimant is eligible for Medicaid. The table below, labeled “Exhibit 3.3,” is from a study conducted for VA to determine how many veterans might apply for Pension in coming years. The subjects of this report are most likely veterans with low household income and few assets. This group would be included because it is easy to research their demographics in government statistical reports. Those veteran households with higher income and high long term care costs would not show up in this report because it is difficult to predict how many veteran households will actually need long term care and what those costs might be. The table below does not reflect the number of surviving spouses of eligible veterans or their dependent children who are also eligible for a lesser Pension benefit called “Death Pension.” In 2005, approximately 207,000 of these eligible beneficiaries were also receiving Death Pension payments from VA, in addition to the 331,000 estimated living veteran beneficiaries. Since the 2005 numbers are now available, the actual number of living veteran beneficiaries in 2005, receiving Pension, was 336,000. The table below examines this sizable group of potential beneficiaries and also compares them to the smaller group in “Exhibit 3.3” above. Estimates of the number of survivor beneficiaries in the table below were based on the percentage of that group actually receiving benefits over the number of living veterans actually receiving the benefit. Data for this table were taken from the 2007 Statistical Abstract of the United States for the most recent years of 2005. What is surprising about these numbers is that a third of all people — 33% — in this country, over the age of 65, have a potential for receiving a Pension benefit.That’s how many war veterans or their survivors there are in the US. The potential for receiving a benefit is huge. But, in actuality, only 4.7% of this large population of potential beneficiaries is actually receiving a benefit. This is truly astounding and appalling! We are working to educate both veterans AND their families so many more will begin to receive this hard earned benefit! State veterans homes fill an important need for veterans with low income and veterans who desire to spend their last years with “comrades” from former active-duty. The predominant service offered is nursing home care. VA nursing homes must be licensed for their particular state and conform to skilled or intermediate nursing services offered in private sector nursing homes in that state. State homes may also offer assisted living or domiciliary care which is a form of supported independent living. Every state has at least one veterans home and some states like Oklahoma have six or seven of them. There is a great demand for the services of these homes but lack of federal and state funding has created a backlog of well over 130 homes that are waiting to be built. Unlike private sector nursing homes where the family can walk in the front door and possibly that same day make arrangements for a bed for their loved one, state veterans homes have an application process that could take a number of weeks or months. Many state homes have waiting lists especially for their Alzheimer’s long term care units. No facilities are entirely free to any veteran with an income. The veteran must pay his or her share of the cost. In some state the veterans contribution rates are set and if there’s not enough income the family may have to make up the difference. Federal legislation, effective 2007, also allows the federal government to substantially subsidize the cost of veterans with service-connected disabilities in state veterans homes. We believe most veterans or their families seek out residency in a state veterans nursing home because they believe this service is one more VA entitlement that should be available to them. But there is also a similar entitlement available to anyone in most private sector nursing homes–facilities that may be geographically closer to the family than the nearest veterans home. This is Medicaid. Veterans seeking long term care from VA programs generally don’t have the funds for private pay in a people in a private sector Medicaid certified facility. Most families who are seeking help for their loved ones, who are veterans, generally look to VA first before considering Medicaid. Or they are simply not aware of Medicaid. In many cases, Medicaid may be the better choice. To answer this question we contacted a number of rural state veterans homes on the phone and asked them why a veteran or his or her family would seek out their services as opposed to seeking services in a closer non-veterans facility under Medicaid. Almost unanimously the answer we got was that some veterans like the idea of sharing their living arrangement with other veterans. The facilities almost always referred to this as “camaraderie”– a band of brothers. Statistically, private sector nursing homes are mostly populated by older women who are generally in poor health. Some men may not feel comfortable in an environment where the activities and the social atmosphere are centered on women. In contrast, veterans homes are almost exclusively populated by men. In addition, based on our observation, we suspect the population of state homes is younger and healthier than that of private sector facilities. These demographics would suggest that activities and social atmosphere revolve around the needs of men not women. A younger, healthier population would also suggest veterans homes would offer more opportunity in the form of transportation or scheduled outings for the residents to be out in the community. One veterans home reported to us that they regularly scheduled fishing trips and outings to sporting events for their residents. These would be unheard of activities for the typical private nursing home. The second most common reason reported to us why veterans seek out state homes is for financial reasons. In many states the cost of the home is subsidized for veterans who meet an income test. The vet’s income is considered sufficient to cover the cost. These veterans may own a home or other assets that they wish to protect from Medicaid and leave tot their family. The state veterans home will allow them to give these assets to the family without penalty. Medicaid would require a spend down of those assets or impose a penalty for gifting. Another reason related to finances may be there are no available Medicaid beds in the veteran’s area. The veteran may be paying out of pocket ofr a nursing facility but have his name on a waiting list for a State Home where the out-of-pocket cost would be much less. When his name comes up he will move to the State home. Medicaid is not allowed to apply the aid and attendance allowance from pension towards the cost of care but must let the veteran retain that money. The fortunate veteran who has this additional #300-$500 a month can use this money for additional personal needs. One veterans home that has this dual arrangement with Medicaid and Va pension reports that the veterans receiving this benefit, pool the money with other veterans in the facility and it helps pay for dinner tickets, theatre tickets, expensive outings and other amenities that would not normally be available to private sector nursing home residents. The Veterans Administration pays the state veterans homes an annually adjusted rate per day for each veteran in the home. This is called the per diem. In most states the per diem falls we short of this goal. The per diem program and construction subsidies mean that State veterans homes can charge less money for their services than private facilities. Some states have a set rate, as an example, $1400/mo, and they may be relying on the pension benefit with aid and attendance plus the per diem to cover their actual costs. Other states may charge a percentage of the veterans income but be relying on other subsidies to cover the rest of the cost. States without set rate subsidies may charge 50% to 70% of the rate of private facilities based on private or semi private room occupancy and if the veteran does not have enough income, these homes accept Medicaid or Medicare to make up the difference. In these state the veterans homes are Medicaid and possibly Medicare certified. A domiciliary is a living arrangement similar to assisted living without substantial assistance, but is not intended as a permanent residence. Domiciliary rooms in veterans medical centers are designed around this concept and are used for rehabilitation recovery from surgery or accident, alcohol abuse, drug abuse, mental illness or depression. The domiciliary concept does not work well in a state veterans home setting and in the context domiciliary is simply another name for assisted living without the assistance. This represents a form of independent retirement living with a little more support where the veteran can stay as long as he or she needs to. A far as state veterans homes go you should think of domiciliary as a substitute for supported independent living retirement. Many state veterans facilities have set aside a wing for Alzheimer’s patients. In some states this is the most popular service sought by veterans or their families and waiting lists could require a number of years before a bed opens up. A small number of facilities offer adult day care.